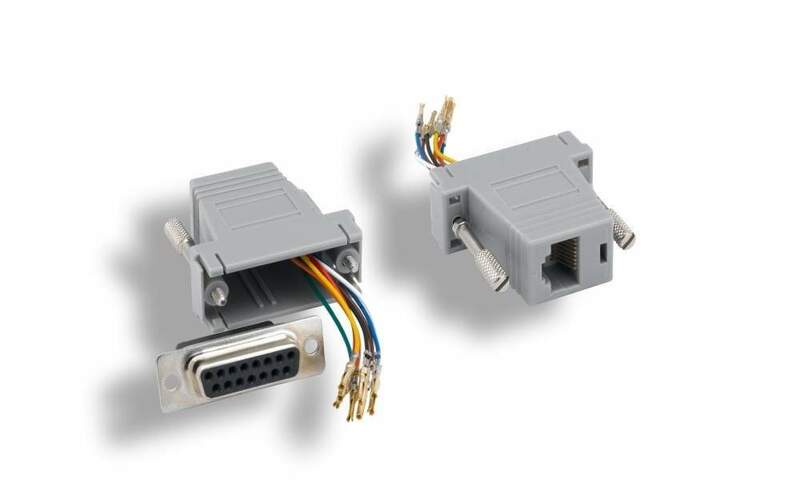 RJ45 to DB15 Female Adapter - Used to connect DB15 type Device to Cat-5 Style wiring. Used alot for Telecom Equipment Etc.. This is the assemble type with all wires ready to be pushed into the appropiate spot on the DB15 Female Connector.